There are 6 blog entries for June 2011. Monday, June 27th, 2011 at 11:08am. You will be greeted by a covered drive with a stone façade and crisp landscaping when entering the Evergrene Clubhouse. The Clubhouse spans 20,000 square feet and houses the fitness center and aerobics room. Here residents and guests can enjoy both casual and fine dining as well as a professional event staff able to throw together any event you can dream up. The fitness center features state-of-the-art equipment and a full range of workout gear. The aerobics room offers scheduled classes and is perfect for group fitness with friends. Bi-weekly free yoga classes are offered and there are private locker rooms. Friday, June 24th, 2011 at 1:59pm. You've scored an invite to a friend's home in Admiral's Cove for a summertime party, but you can't show up empty-handed. You set out to find the perfect hostess gift. Instead of taking a bottle of wine, why not opt for this very cute nautical schnapps set! 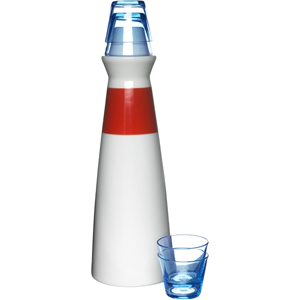 The mod carafe, designed to look like a lighthouse, is perfect for holding the chilled liquor of your choice. The glasses are handblown and stack on the top and gleam as blue as the ocean. When it comes to getting invited back to the next gathering, I am pretty sure you'll find this little beacon a lifesaver. If you'd like to purchase this lighthouse carafe you can visit broadwaypanhandler.com and purchase it for $30. Wednesday, June 22nd, 2011 at 11:44am. As if living in a golfing, yachting, and tennis tropical oasis wasn’t enough, residents of Admiral’s Cove now have the added benefit of the Property Owner’s Association offering a variety of services. People who own real estate in Jupiter, Florida have known what a premiere residential community Admiral’s Cove is for its physical beauty and architectural details. 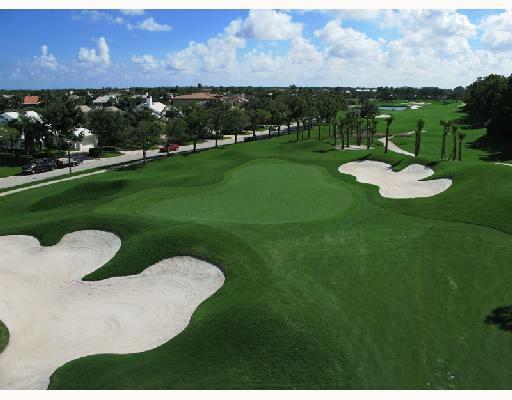 Residents and members know The Club at Admiral's Cove offers more, much more! NOT SO HANDY ? NO PROBLEM ! Tuesday, June 21st, 2011 at 1:14pm. Have you been searching for real estate in a particular area or particular city and wish that you could just search in specific parts of the city or neighborhood? Well now Waterfront Properties & Club Communities offers a tool that makes searching for your next home as simple as that! Our new interactive map search allows you to draw a polygon shape around the area you'd like to search in, refine the results by price or number of bedrooms & bathrooms, save your search and receive email updates of listings in that area. Go ahead and give it a try! Thursday, June 16th, 2011 at 2:06pm. Thinking about living in Admiral’s Cove? Here’s your chance! Tuesday, June 14th, 2011 at 2:50pm.